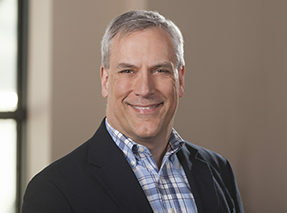 James Brown, Ph.D., joined Aldevron in 2015 and serves as Vice President of Corporate Development. His responsibilities include developing and implementing strategies for expanding Aldevron’s DNA, mRNA, antibody, and protein products and production services. In this capacity Dr. Brown heads the product management team, which expands existing product features and develops new products, including pALD-X80, an off-the-shelf rAAV helper plasmid. Prior to joining Aldevron, Dr. Brown was Vice President, Technical Operations, at REGENXBIO Inc., a gene therapy company. In this role he was responsible for contract manufacturing, vendor management, operations, quality assurance and biological reagent sales. Prior to REGENXBIO Dr. Brown served in roles of increasing responsibility in operations and quality assurance at MedImmune, Meso Scale Discovery and IGEN International, Inc. Dr. Brown holds a Ph.D. in chemistry from Stanford University and a B.S. in chemistry from Butler University.